Retailers are experts in organic evolutions! From brick and mortar stores to m- or s-commerce to pure players, they demonstrate their agility and adaptability. They are becoming increasingly ‘smart’. Consumers, meanwhile, are not to be outdone and are taking advantage of new technologies to optimise their purchasing pathway and reduce costs (time and price). They now want to buy products for the values they convey and no longer want to put up with the separation between on and offline. The Smart Phygital era is underway: retail which places meaning and value at the centre and reconciles on and offline. Consumers and retailers have understood the importance of AI which is set to change their relationship with technology. Over the next few years, AI will become a key element of IoT, robotics, virtual and augmented reality. The aim? To further improve the customer experience by anticipating and analysing consumers’ needs through their data and their consumption behaviour (on and off line). These new technologies must not simply serve as a ‘wow’ effect for a brand and mislead consumers but be used to help consumers and make the customer relationship smoother. For example, the start-up Angus.ai is developing new generation cameras which can analyse traffic flow in stores and which can also detect hesitancy on the part of consumers and notify the sales staff. These assistants are then encouraged to go and help the customer and conclude the sale. It is important to note that these images are created in real time and are therefore not stored. Monoprix has also gone down the route of artificial intelligence and is continuing to acquire start-ups in the sector. After the setting up of Monop Easy in 3 Parisian stores, the retailer is thinking of doing away with the chore of creating a shopping list thanks to Google Home and the development of a dedicated application, and to guarantee availability with electronic labels. The aim: to facilitate grocery shopping by anticipating consumers’ needs. 2017 was the year of authentic and human retail. Today, we can see that consumers want more, or more specifically, they want to go back to basics: a search for meaning and value. The purchase act is becoming a purchase approach, almost militant in style, for products or services. Retailers have picked up on this desire and stores are now designed to make consumers feel at home: they take into account the ecological footprint in the optimisation of their supply chain, artisans are the new stars of marketplaces. This is the case of Empreintes, the 1st concept store devoted to art and craftmanship. This space extends over more than 600 sq.m and 4 floors with art, wall decor, accessories and furniture created by designers. The store is also a bookshop, cafe and has a projection room to showcase the artists’ work. Birchbox is riding the same trend with its store inviting consumers to drink a coffee, discover the products sold on the famous online site and even have a haircut. A relaxing break for consumers. Décathlon takes it one step further, turning its sales staff into veritable sports coaches who provide free lessons in their particular speciality. Written off too soon, the store has given itself a particularly successful face lift and has rediscovered its youth by also going back to basics: the sensory dimension. The fittings are becoming the cornerstone of this phenomenon. Indeed, a successful experience in the store depends on adapted furnishings. Going further than simply designing the store’s layout, staging is now where it’s at! The classic store is morphing into a place of experience, meeting, discovery. Apple took a radical change of direction in terms of staging a year ago with the gradual overhaul of its physical stores. The famous Regent Street store in London was the first to be given a makeover. Apple managed to create a place in its own image: 7-metre high ceilings, a smaller display area to showcase innovations, the addition of trees and foliage. Visitors are encouraged to pick up products and test them while strolling around the store. Farewell the security cord. Other modular spaces can be arranged to present solutions or new accessories in augmented reality. Digital is also enhancing the sensory dimension. An association which gives consumers a complete and meaningful buying experience while taking into account their needs, thanks to data, and offering real added value, such as service. By adopting digital, stores are rehumanising the purchase act: CRM enables offers to be personalised, sales staff equipped with tablets guide the customer, the transaction is becoming invisible, click & collect is creating a 360° offer. Nature & Découvertes has taken the plunge by providing sales assistants with tablets in its stores to improve the customer experience and increase its additional revenue. This tool enables staff to get an overall view of stocks, create mixed baskets, make mobile transactions, etc. 2018 will be the year when the real union between stores and digital is forged. Omni-channel is becoming the norm. There is no turning back for retailers, they have no choice but to adopt 360° retail. 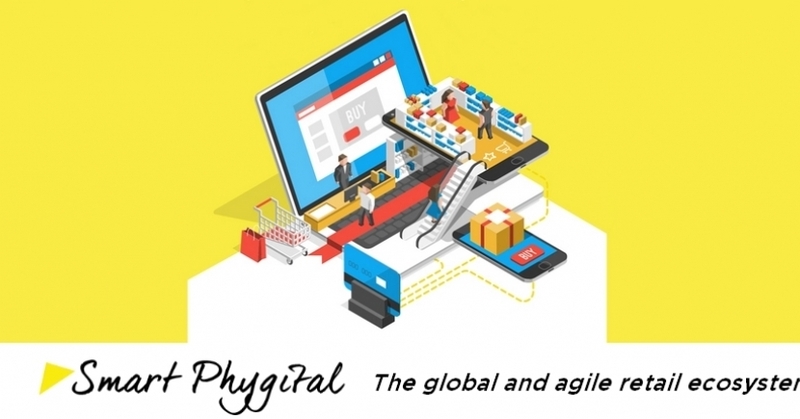 Download the expert insight "Smart Phygital: the new retail paradigm"